I am really jumping the gun here, folks, but I wanted to alert you to the release on December 11th of a really interesting, somewhat disturbing, but refreshingly original novel by an up-and-coming author, Janet Clare. is a complex psychological “thriller”. 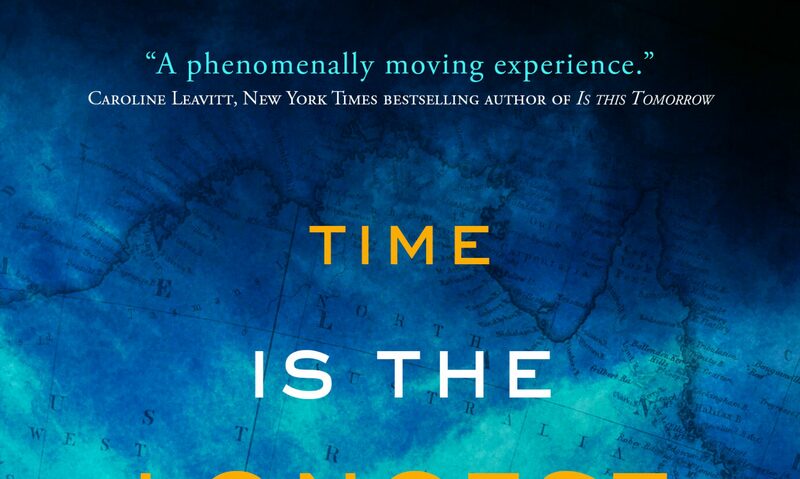 Not quite a mystery, per se, but, nonetheless, Time is the Longest Distance is an intriguing fast-paced novel with an enigmatic plot and inscrutable characters that will leave you wide awake reading well into the wee hours of the morning. Feeling betrayed that her mother’s deceased husband is not her biological father, Lilly nearly goes into a tailspin. She travels half-way around the world to Australia to meet the man with whom her mother had an affair with more forty-five years ago. Cameron dares Lilly to take on the arduous hardships of the Canning Stock Route, the most difficult and challenging track in the country. Traveling without the benefit of creature comforts – Lilly is a New York City girl accustomed to air conditioning in the summer – she braves excruciating heat as she, Cameron, his son, Grant and Jen, his twenty-something year-old granddaughter, cross the Great Sandy and Gibson deserts. Now, while not “loveable”, Lilly and Cameron are, indeed, likeable. While Lily is a somewhat pampered “city girl”, Cameron is a crusty old soul – reminiscent of an aging Crocodile Dundee. They are very true-to-life, as are Jen, the “whatever” millennial protective of her father, Grant, who exudes his own brands of crustiness charm, callousness, and compassion. At one point, Lilly aptly compares herself to Isek Dinesen (Karen Blixen) and Beryl Markham who each, in the early 1900s had their own nefarious adventures in the wilds of Kenya. Clare might have easily chosen “Out of Australia” for her debut novel instead. Comprising the psychological foundation and bulk of the novel, Lilly has ample time during the two-week journey to stunningly and brashly reflect on her life with its not so perfect past and present relationships. There are Stephen, her estranged husband who is a drunken failure both as an artist and a husband, and Thomas, the paramour au courant who had originally convinced her to seek out Cameron. And, now, she faces a surprise illicit love affair that will knock the socks off any reader brave enough to journey across the Australian outback with the trepid main protagonist. A bold and often brash clear and concise writer, Clare sometimes brutally to the point. She is not afraid to imbue her well-defined characters with power. Power to bluntly speak their minds; power to face beliefs and feelings, however mis-placed or inappropriate; power to act upon them; and power to honestly interact with one another. And she is not afraid to use her own literary power to tell a powerful story, catching readers off-guard with startling revelations and ambushing them with unforeseen plot twists and turns. I won’t reveal the denouement, lest I spoil this great literary accomplishment. But I will say that while it is a nearly perfect ending, it is, once again, as is the rest of the story, blunt and brutally honest. With its themes of displacement (“Where – and to whom? – do I really belong?”); the search for identity of one’s self and others; and the struggle for self-actualization, Time is the Longest Distance is on par with the psychological novels of Anita Shreve and the earlier works of Margaret Atwood. I strongly encourage you to pre-order this rich, often dark, but enlightening novel. It is one of the most adventurous books of the year. In more ways than one.